House Speaker Paul Ryan says the new health plan being pitched by the White House is still in its early stages. Ryan said it’s “premature” to say where Republicans are on a second attempt at trying to repeal and replace the Affordable Care Act (ACA), and he noted that there’s no legislative text yet, nor is there an agreement among GOP House members on the new plan. He did say that productive conversations are being had, and Republican efforts are aimed at cutting the costs of health insurance premiums. Asked about a possible vote on the new health care plan this week, Ryan did not rule it out, replying that he didn’t know. He added, however, that he doesn’t want to put “an artificial timeline” on the process, and he wants to make sure that they have the votes. Last week, House Republicans and President Trump suffered an embarrassing defeat when the health care bill had to be pulled from the floor, given that the GOP lacked the votes to pass the bill. The president has blamed both Democrats and the Freedom Caucus, the most conservative members of the House, for the failure of the first health care bill, but the plan was also losing moderate support. During the negotiations to win more conservative support, GOP leaders and the Trump administration made concessions that alienated moderates. Ryan suggested that he wants to rely on Republican votes for House passage, and not Democrats, who would be likely to insist on keeping Obamacare in place. 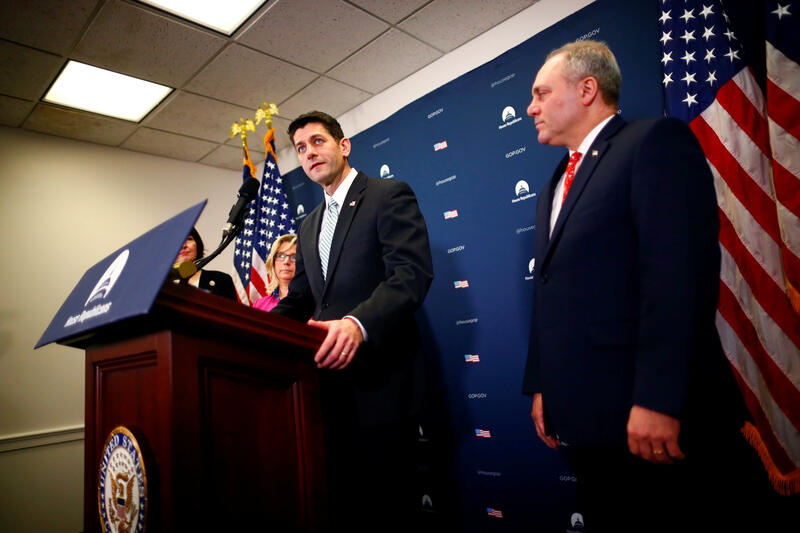 “It’s important that we don’t just win the votes of one caucus or one group, but that we get the votes and the consensus of 216 of our members, and that’s kind of where we are right now,” Ryan said. The White House, too, is changing its approach. The first bill was written by House Republican leaders, but for the second attempt, the White House appears have taken the lead and written this plan -- it was presented to conservatives Monday by the vice president, Health and Human Services Secretary Tom Price and White House Budget Director Mick Mulvaney, and Pence met with moderates to talk with them about the bill earlier in the day. CBS News’ Catherine Reynolds contributed to this story.